Sun, the most reliable source of energy, has the power to radiate energy in a single day which the world can use for a whole year. The total energy that is emitted from the sun is not received by the planet earth. Only a small amount of it reaches the earth but that is more than sufficient to satisfy our needs. 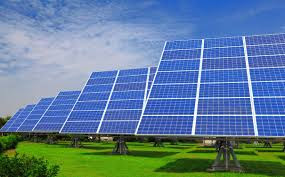 Today, in many parts of the world, the use of the solar energy for various purposes has already become a common thing. Here, in our country, India, the solar power is seen as the solution to power cuts or power crisis. The government is now encouraging investors and common people to take part in generating power through solar. People in the city are now showing interest in solar power. They are now working on ways to get solar energy as they know they can fight power cuts well if only if they focus on it. They know they can successfully avoid inflated electricity bills and even gain higher returns in short period of time. We see people using their rooftop for generating solar power. The use of the solar batteries has already become a common thing in the city. Many other products that run on solar energy are now gaining huge importance as well. With the demand in solar energy increasing, the number of the service providers have also increased. Now, in the city, we find so many companies which provide products that run on sun's energy. There has also been noted a great amount of increase in interest from the corporate sector too. The number of the private organizations which provide EPC (Engineering, Procuring and Commissioning) services have almost doubled over the past year. There are many service providers who provide turnkey solutions. The development of the solar parks is now attracting big investors not just from the city but from various other parts of India too. "A solar power park of 1,000 MW would be set up in Mahboobnagar District. University of Hyderabad is soon going to have a solar power plant of its own to tide over power crisis. Authorities have already revealed that the university has proposed to build a plant of its own to power Indira Gandhi Memorial Library. There are now many companies in the city that provide solar products, solar panels, batteries, inverters pumps, solar led lights, air conditioners, solar bags, solar cookers, water heaters etc. The city has now companies that offer solar plant development services. They provide end-to-end services. Companies such as SSPL (Suryadaya Solar Park Private Limited), RaysPowerInfra etc already have developed parks. Investors have to just invest and be relaxed. Maintenance services are also provided. We can see solar parks nearer to Mahboobnagar district. 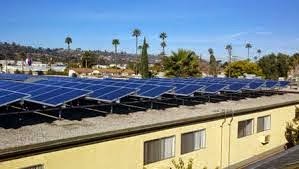 No matter whether you are looking for residential solar power solutions or commercial solar power solutions you can always rely on them to get what you are in search of.